Enjoy a breath-taking 360-degree view from The Shard over London. 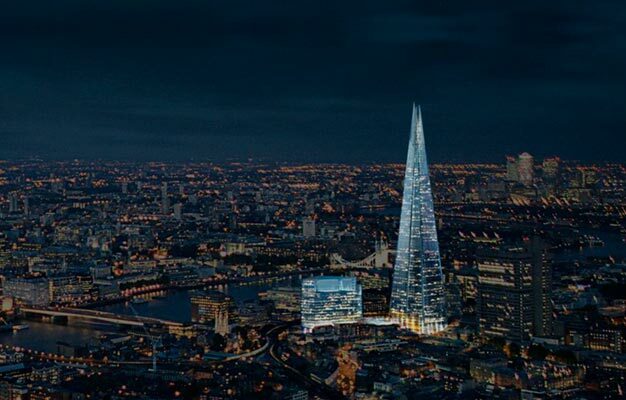 The Shard is an iconic landmark building and redefines London’s skyline. On level 00 you will be drawn into the world of London when glimpses of this amazing city show themselves. Travelling upwards toward the sky in a kaleidoscopic lift you will reach the 68th floor and you will rise as high as 244m above one of the greatest cities in the world. From here you can continue on to level 69 where the astonishing 360-degree view stretches out before you and you can see most of London’s amazing landmarks - both old and new. Ascend to level 72, the highest and best view in town and take in the ultimate view and sound experience. Look up and see the shards of glass that form the top of the skyscraper, as they seem to disappear into the sky. Shortly after your booking has been completed your e-ticket will be sent directly to your email. Simply print it out and bring it on your tour. Yes, children's tickets are available for children between the ages of 4-15. Children aged 0-3 are free, when accompanied by a paying adult.